"This is the Vasari purse from desiger Jil Sander’s fall/winter runway show. It’s selling for $290. 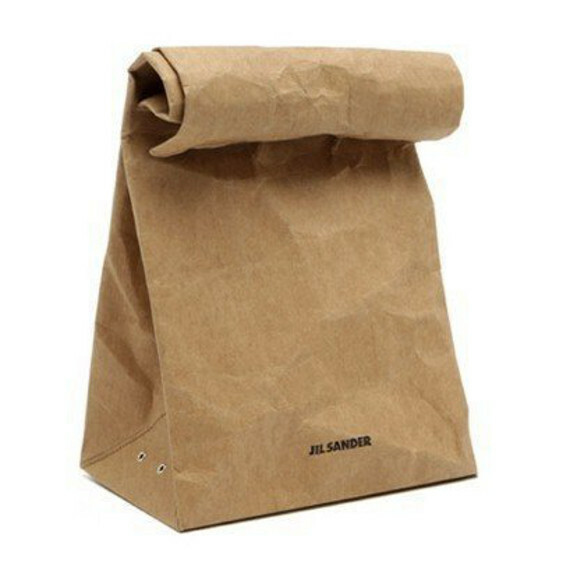 Don’t be fooled by the fancy-pants name, it’s just a brown paper bag. Literally. The only thing that sets it apart from the sack you bring your lunch in is that it’s laminated. Well, that, and it’s being touted as some kinda fashion statement."